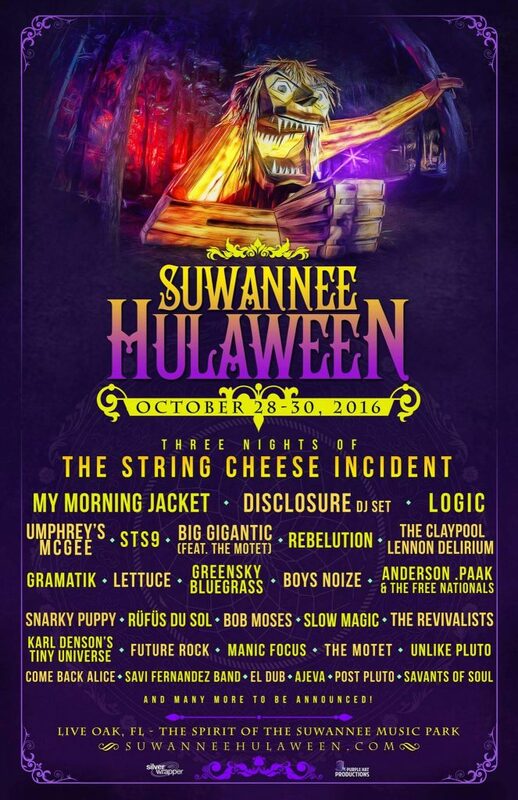 The annual Suwannee Hulaween Music Festival will be taking place this October 28-30 in Live Oak, FL. They gave us a little sneak peek of the lineup and it’s an amazing one so far! See it out below and make sure to check for more updates. To purchase tickets you can find them here.